This genus was transferred from the family Therriidae in 1970. Nicodamus peregrinus was formerly called Nicodamus bicolor. 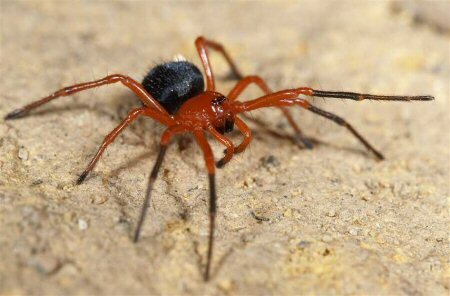 The common name of this spider is Red and black spider. Nicodamus peregrinus occurs in Eastern Australia. Nicodamus mainae looks identical and is found in Western Australia. 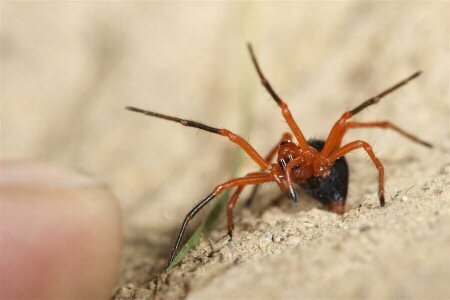 This spider, especially the males, waves their front legs and taps the ground with their palps while walking. The spider lives on the ground between bark, leaves and other debris. The male is between 8 and 12 mm while the female is a little larger with a length between 10 and 14 mm. 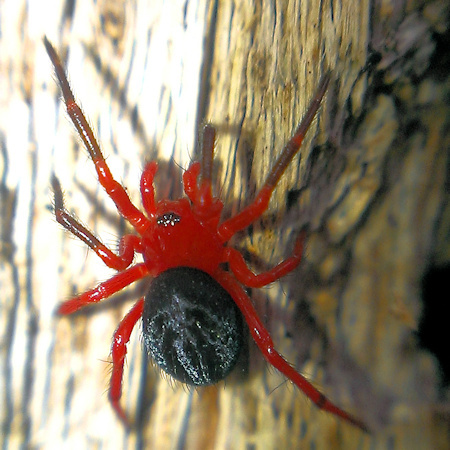 The head-breast (cephalothorax) is scarlet red. 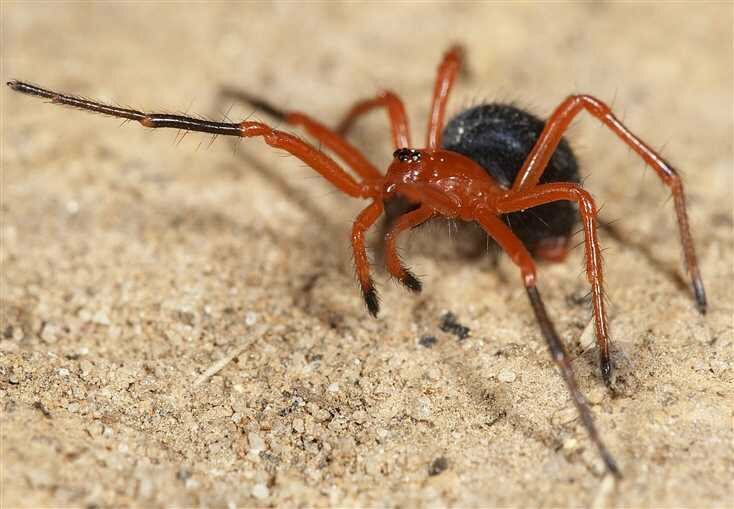 The legs and palps are coloured red and black and the abdomen is black with a red tip at the end around the spinners. The females make a horizontal irregular horizontal tangled sheet-web with a diameter between 15 and 20 cm in hollow logs or between stones. The egg-sac is flat made of white fluffy silk filled with 35-50 eggs with a diameter of around 1 mm. They feed on a variety of insects.